Bifold doors use an innovative concertina-effect folding mechanism to open. Individual door leafs stack against one side of the wall, and leave an impressive opening space. This makes them ideal for linking your inside and external space, whether that be a garden, patio or BBQ area. With ultra slim frames and clean lines, our panoramic bifold doors bring you the space, comfort and low-maintenance luxury of modern living. 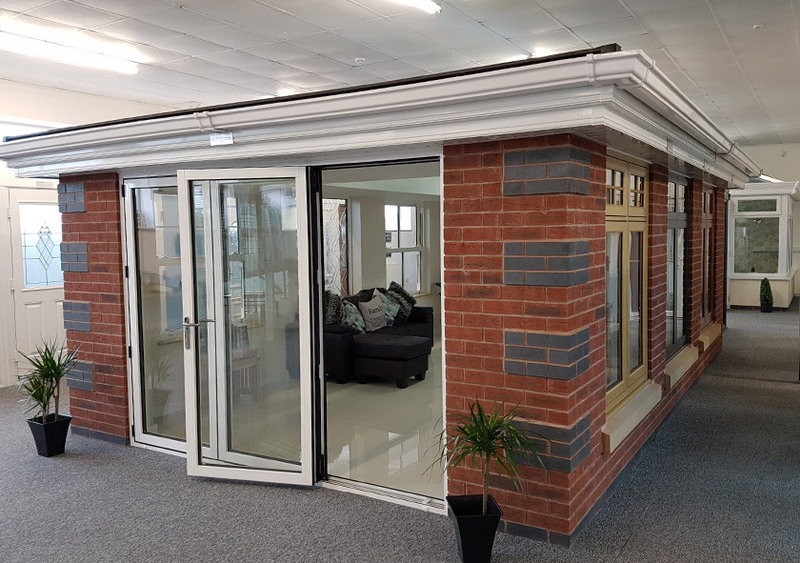 Plus, they are available in a wide range of configurations designed to fit virtually any space, so you can turn your outside area or conservatory into a stunning centrepiece. 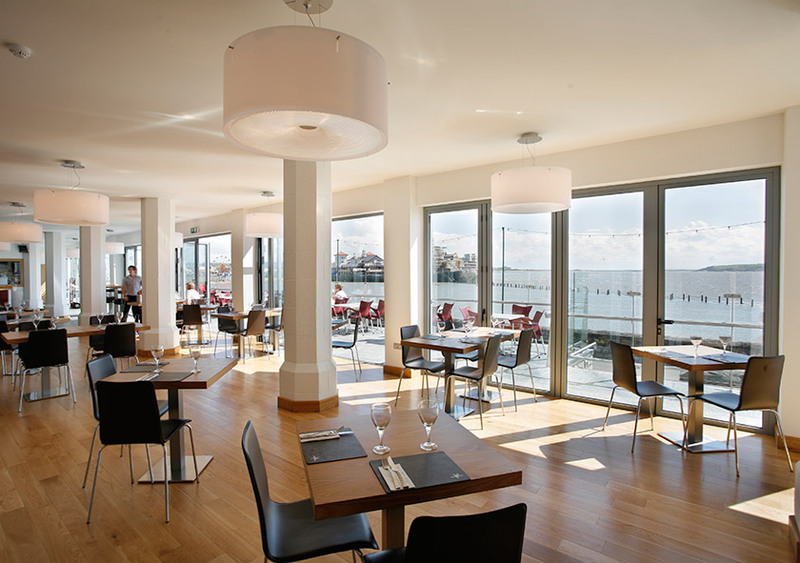 At DW Windows, we can offer bifold doors in a range of sizes, for any size aperture. 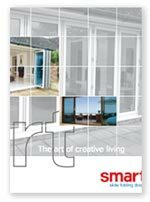 You have the choice of stylish uPVC or slim aluminium frames, as well as a range of colour and customisation options. With endless possibilities, our multifold doors make rooms look bigger and living spaces more flexible. 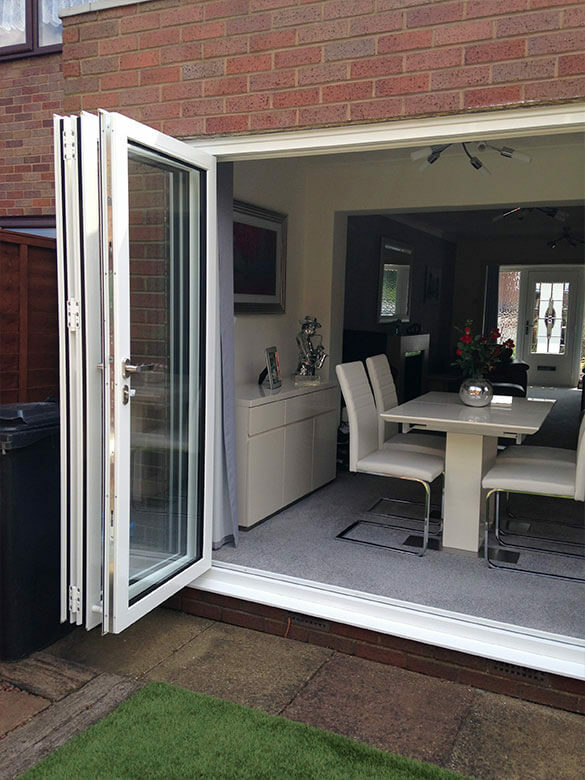 Suitable for all budgets, uPVC bifold doors are a maintenance-free, classic bifold option. Your home will benefit from energy efficiency when the doors are closed, and a versatile opening space when open. 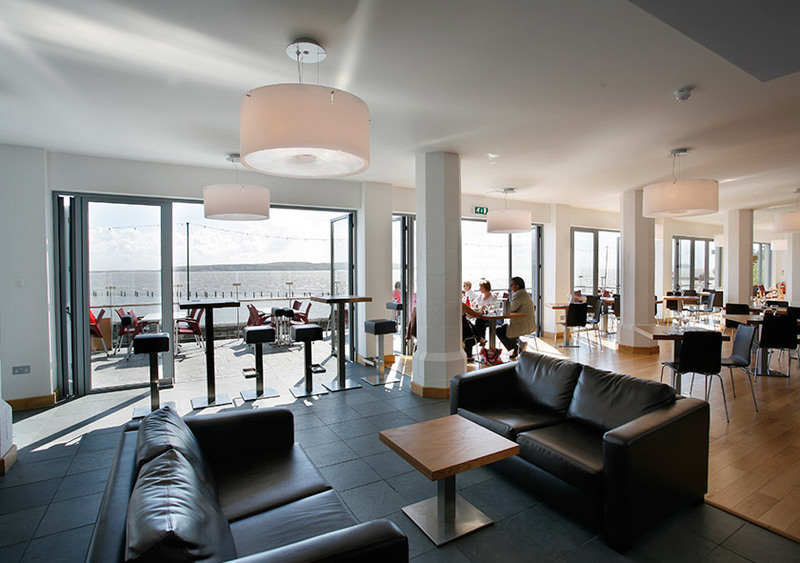 For superior bifold doors, opt for aluminium - the beauty of is that it can hold larger glazing panels. 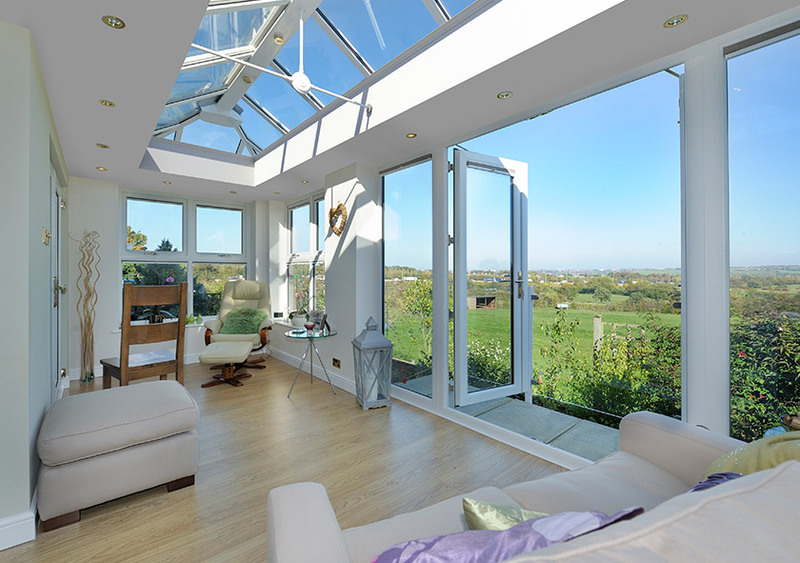 When incorporated into bifold doors, this results in slimmer sightlines than ever before. Look forward to panoramic views of the outside! Thanks to modern technology, our bifold doors offer impressive thermal performance. They will help to keep your living spaces warm by trapping heat inside. This is great news for when the temperatures drop outside, as you can still enjoy outside views! Combined with high performance double or triple glazing, your bifold doors will help to reduce energy bills and carbon footprints. Many people think bifold doors are less secure than a standard patio door because of the amount of glazing - but this isn't the case. 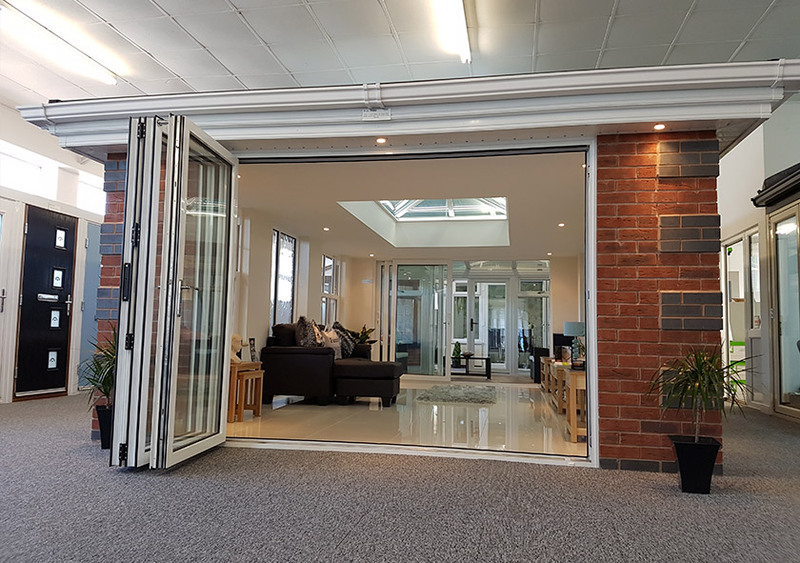 Our bifold doors are manufactured with security in mind, including internal hardware, multi-point locking and toughened glass as standard. 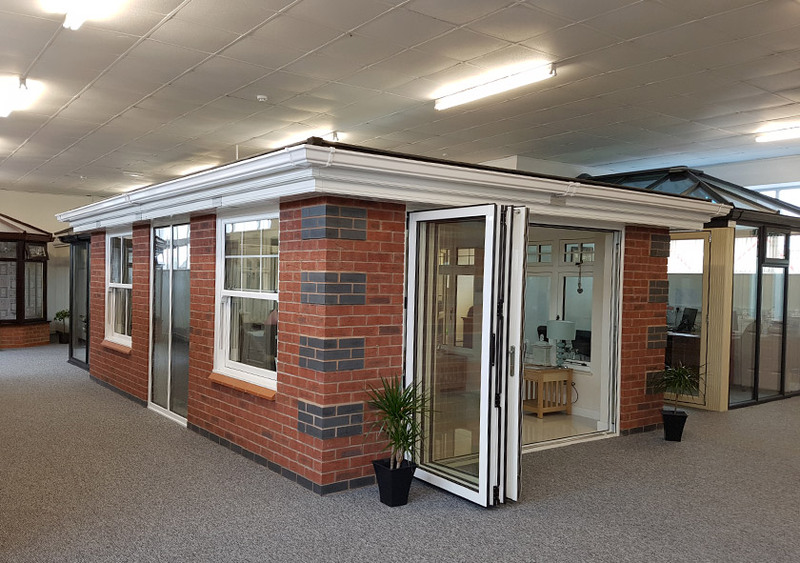 You can be sure our bifolding doors are amongst the most robust out there, and will help keep your home safe.